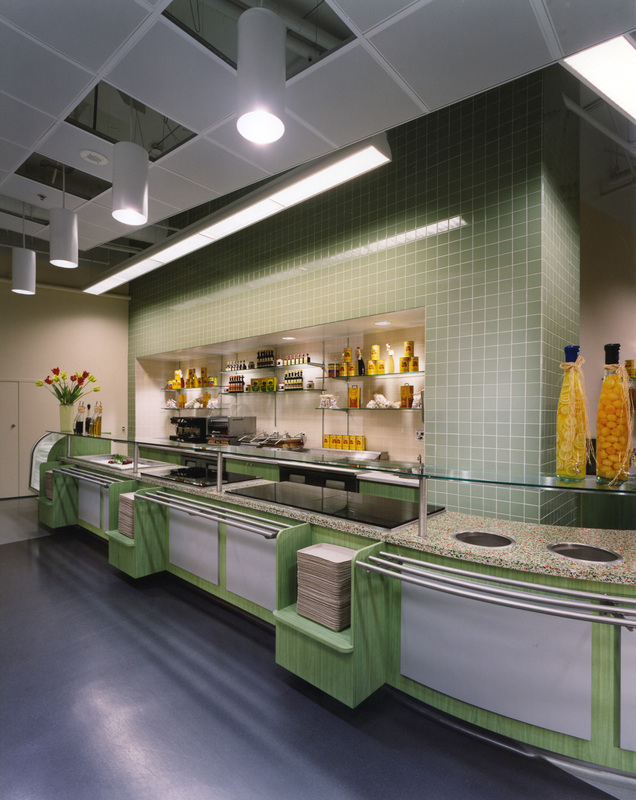 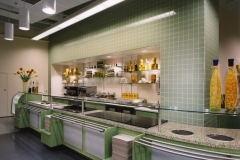 Colorful, cheerful corporate cafeteria offers employees quick, value dining, and a welcome respite from an office environment. 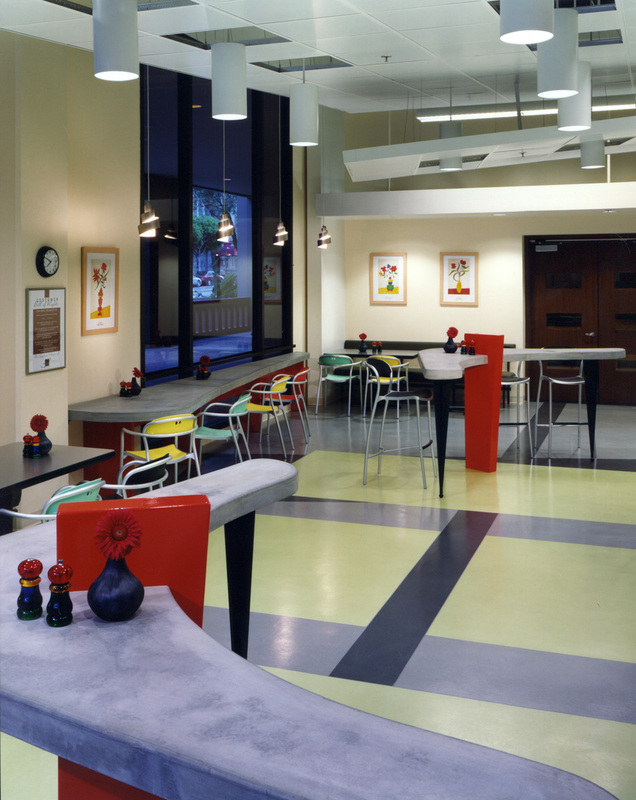 Created seating layout along window walls to take advantage of city views and give employees opportunities to interact or eat alone. 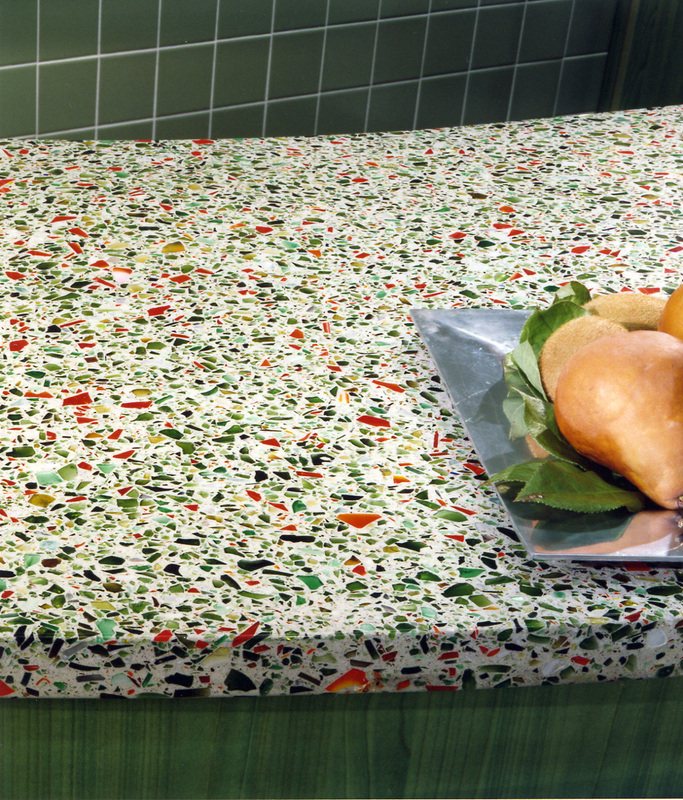 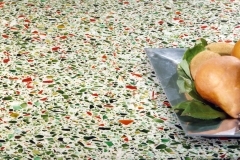 Added uniquely colored and textured finishes, which include colored wood grain and nickel-finish plastic laminates, concrete, and environmentally recycled glass countertops, automobile-paint red counter supports, and earth-friendly linoleum floors in geometric shapes. 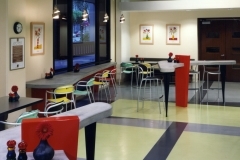 Achieved a dramatic contemporary look with multi-colored Italian metal and plastic chairs and barstools and with floating, angled ceiling panels pierced by oversized fluorescent can lights.